In the first list of BMC members available, Scots Hugh Barrow, Ian Young, and Alistair Blamire were notable and in addition John Anderson was there as a coach prepared to assist any Scot who felt in need of coaching for middle distance events. Over the years since then, Scotland has supported the club well in every way possible. 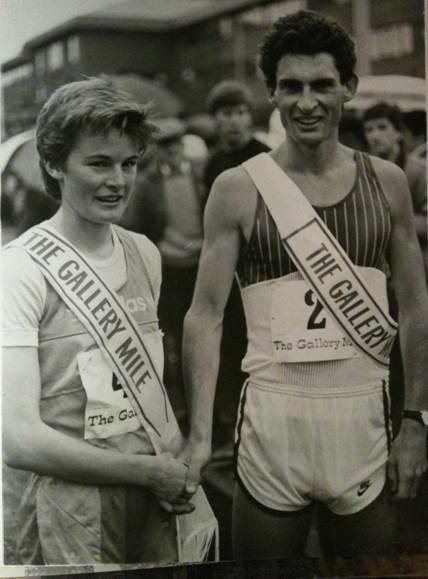 All the middle distance legends north of the border were members: John Robson, Frank Clement, Graham Williamson, Alistair Currie, Adrian Callan, Tom McKean, Liz McColgan, Yvonne Murray, Karen Hutcheson …. the list goes on and even now in 2018 BMC member 8000 is Sarah Calvert from Livingston whose father Ewan was also a BMC member, attended club AGM’s and went warm weather training in Lanzarote with the club. 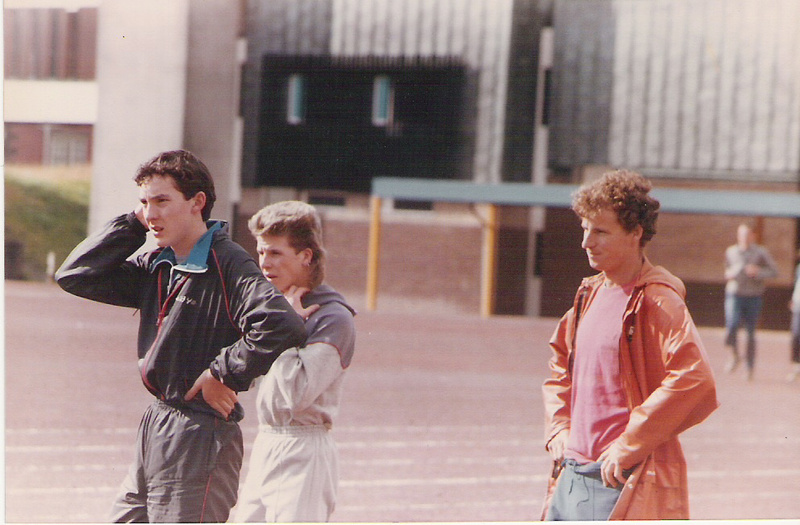 As well as runners, many of the country’s best coaches were members – Alex Naylor, Alex Perrie, Tommy Boyle, Brian McAusland, Jimmy Bryce, John Anderson, and many others. 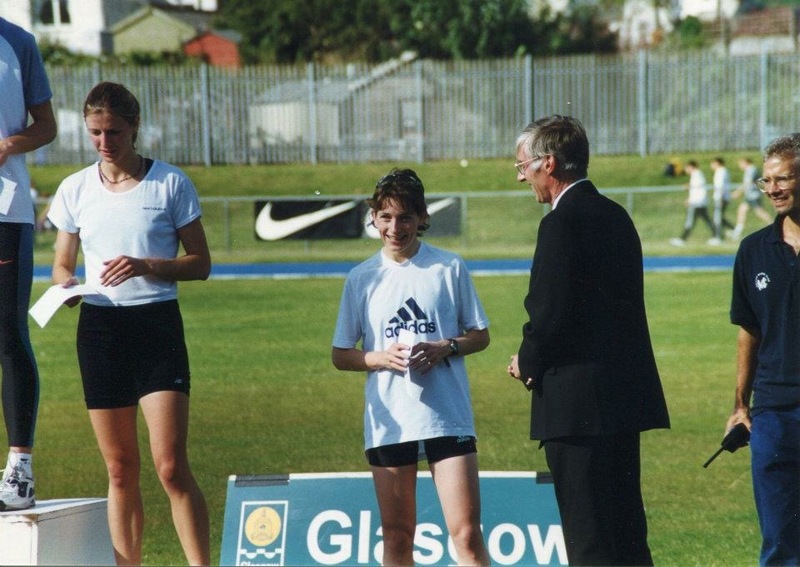 In 2018 Any Young who coaches Laura Muir and Jemma Reekie among others, is a member. “I started training in 1963 using the schedules in a book by Franz Stampfl. Round about sixth year at school I found out about the BMC (possible through AW). I think it was the ‘brainchild’ of Frank Horwill and was formed in the early sixties in response to poor performances in the mile/1500m by British athletes after the end of the Bannister/Chataway/Hewson etc era. I think only Alan Simpson was considered a success in the early to mid-60s and even he came in for some criticism i.e. wasn’t gold medal material…. Frank started sending me training schedules with the word ‘URGENT’ written on the envelope, much to my parents’ amusement, later annoyance! The schedules were very tough and were difficult to live up to especially on grass tracks which weren’t mowed as often as they should have been. However, I managed to get down to 4:20.9 as a 17 year old in 1964 which Frank latched on to as ‘the fastest time by a schoolboy in Scotland’….! I think Hugh is right that no events were organised in Scotland at the time but I managed to get trips to Wolverhampton (hitchhiking…but was ‘put up’ when we got there – I travelled with Roddy Campbell…), and later on to Teesside (Gordon Surtees) and Northampton. I don’t think travel was funded but we always had accommodation provided if we needed it. Despite the problems noted here (no races in Scotland, cost of travel, etc, Scots did run in BMC races but not in the numbers that would have been involved had there been races at home. There was more to the BMC than races though. There were training days in the various English regions, there was the annual two day AGM and training weekend with BMC coaches and runners present which also moved around England. Frank Horwill, in his book “Obsession for Running”, tells of one epic run involving Hugh “Follow me, follow me!” Barrow. Read it here. There were also the ‘postal’ training sessions. These were sessions sent out to all members saying “On Saturday, [date], at 3:00 pm, we will be doing 10 x 400m in 62 seconds. After the session, lease send your performance to …” The runners, wherever they lived would do the session and post the details to the club secretary. 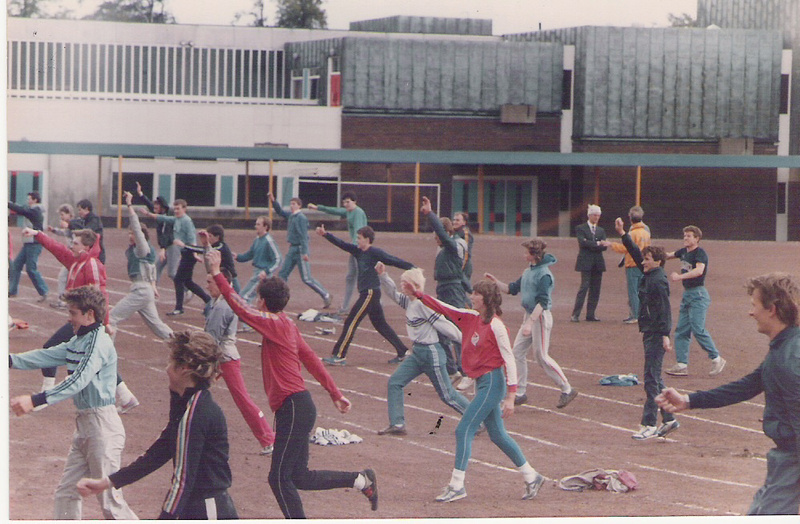 These sessions were interesting to Scots because they often had no group to train with but by doing the session, whatever it was, at the same time on the same day as athletes in Cornwall, Lancashire, Birmingham and London it was almost like being in a group, and of course there was the feed back on how they were doing compared with their peers. I joined the BMC in 1977 and at that time Derek Parker in Kilbarchan was the Scottish Secretary. 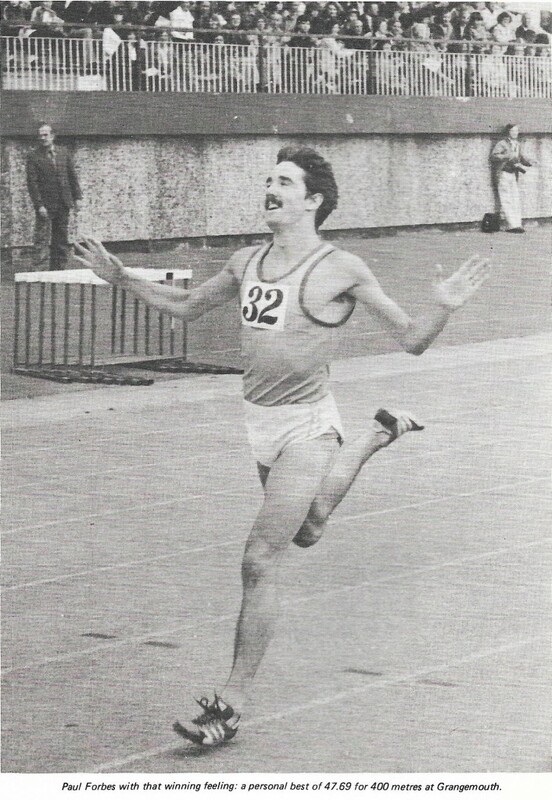 He put on one race that I knew of, a 1500m race at Westerlands, but the response was so poor that he resigned in disgust. Frank Horwill then wrote to Scottish coaches who were BMC members asking for someone to volunteer for the post. I was coaching a couple of good 800/1500m runners at the time so I took o the post. There followed several fairly intense conversations with Hugh Barrow about what BMC races entailed. The main point was to have pace makers in the invitation-only races, and to have a group of runners prepared to turn out in the races. 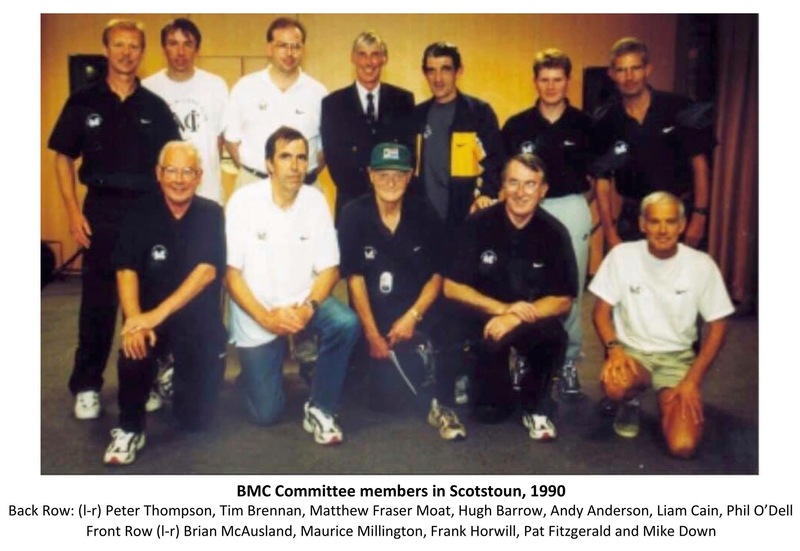 BMC members in Scotland at that time were Alistair Currie, John Lambie, John Lowis, John MacKay, Hugh McKay, Kenny Mortimer, Nigel Jones, Robert Cameron, Mike Murray, Hugh Forgie and others. The plan put to them was for six races in the summer, all starting at 8:00 pm, 3 x 800m and 3 x 1500m with pacemakers from among the runners. Specialist 1500m runners would pace 800’s and specialist 800m runners would pace the 1500’s. This was acceptable and the races went ahead. Open graded meeting organisers were delighted to put the races on because it provided a focal point for the meetings. 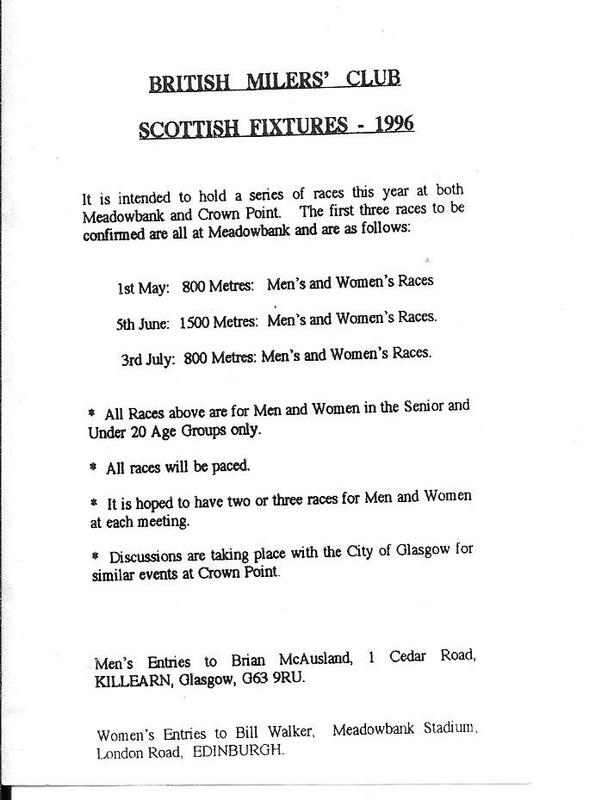 The organisers included Stuart Easton who had the Runsport shops and organised a meeting at Grangemouth, there was also of course the monthly meetings at that stadium, there were open gradeds at Meadowbank too. A mistake was made when we put one on at the midweek preliminary to the West District Championships: there were two races at 800m, an A race and a B race, for which we were later billed for £15 by the District Committee! Paul Forbes (Edinburgh AC) 1:46.32; 2. Keith Cameron (Edinburgh AC) 1:51.96; 3. John McKay (Clydebank AC) 1:52.10; 4. Alistair Currie (Dumbarton AC) 1:52.58. There were also annual one day conferences held at Huntershill in Glasgow, thanks to the good offices of Hugh Barrow, in 1983, 84 and 85. 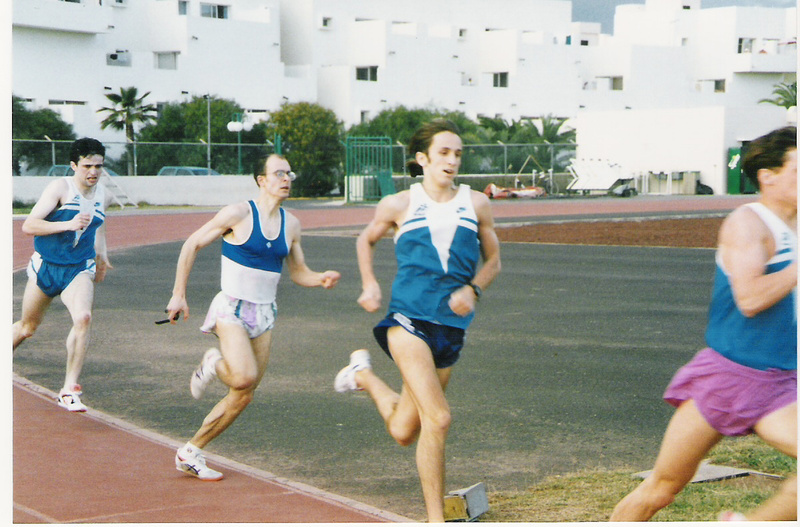 The format was straightforward: Frank Horwill came to them all; we had a Scottish coach dealing with an aspect of training – Jimmy Bryce on speed for middle distance the first year, Alex Naylor on strength for md running and Tommy Boyle on ‘putting it together. We had top runners there too – Frank Clement and Dave McMeekin came and Stan Grant the physiologist was there. They were well supported and gave us the courage to host the annual two day BMC AGM, Conference and Training Day in 1986. A great success, the speakers included Frank Horwill, Peter Coe, Jimmy Hedley, Malcolm Brown and Alex Naylor. Exactly 100 BMC members from all four home countries were present. Hugh was organising the Luddon Strathkelvin Half Marathon at that time and he and I added a Street Mile to add to the attractions on the day and again they were very successful with Liz McColgan , Yvonne Murray, Susan Crawford, Elspeth Turner among the women running, Adrian Callan, and other men BMC members in the men’s race and there was a race for U17’s too. At this point Lachie Stewart took over as Scottish Secretary and continued the races and again Scotland hosted the two day AGM at Jordanhill College. The BMC was doing the right thing by its Scottish members. In 2002 it moved to 20th July and there was not the same need to come for last-minute GP points as far as the runners were concerned. When the meeting was moved to a Friday night in Edinburgh in 2003 the number coming North fell and the experiments with date, place in the sequence and evening as opposed to afternoon meeting were not successful. The last one was held back in Glasgow on Sunday, 8th August 2004, organised by Mike Johnston and John Montgomery. The races were re-organised, and in 2006 there was no GP for Scotland. Most unfortunate. It is I think up to the current and future BMC Scotland organisers to bring them back. Then there was the warm weather training. The BMC was among the first to adopt the practice and it was still going strong in the 1980’s and 90’s. Hilary Baxter of Kilbarchan has an interesting article in the BMC News on a trip to Lanzarote and a group of us – Ewan Calvert, Kheredine Idessane, Grant Graham, John McFadyen, Allan Adams and Peter Halpin all went to Lanzarote in the mid 90’s as part of n invited group of BMC members. 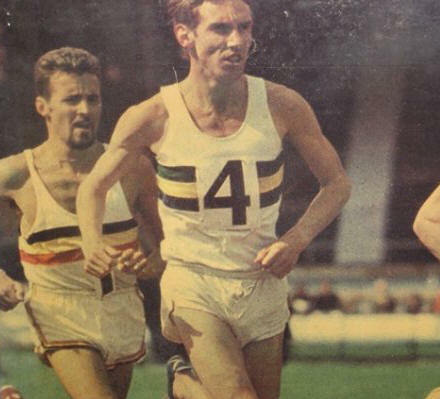 If we look at the best of Scottish middle distance runners over the years, the really big stars such as Tom McKean, Yvonne Murray, Lachie Stewart, Ian McCafferty, Karen Hutcheson and company. have all been BMC members. The top coaches – John Anderson, Tommy Boyle, Alex Naylor, and the rest have been BMC members or supporters directing their runners to the club and its benefits. Scottish athletes continue to go to England for the BMC events and Grand Prix there but they are much better catered for up here now than were in the beginning when the runners were just as keen but there was a hole in Scotland where the races should have been.